Bicci di Lorenzo (1373–1452) was an Italian painter and sculptor, active in Florence. He was born in Florence in 1373, the son of the painter, Lorenzo di Bicci, whose workshop he joined. He married in 1418, and in 1424 was registered in the Guild of Painters at Florence. His son, Neri di Bicci was also a painter and took over the family workshop. Bicci di Lorenzo died in Florence in 1452 and was buried in Santa Maria del Carmine. Following early work – largely frescoes – in collaboration with his father, he received a number of important commissions, including, according to Vasari, from the Medici for a cycle of frescoes of Illustrious Men for the Palazzo Medici. 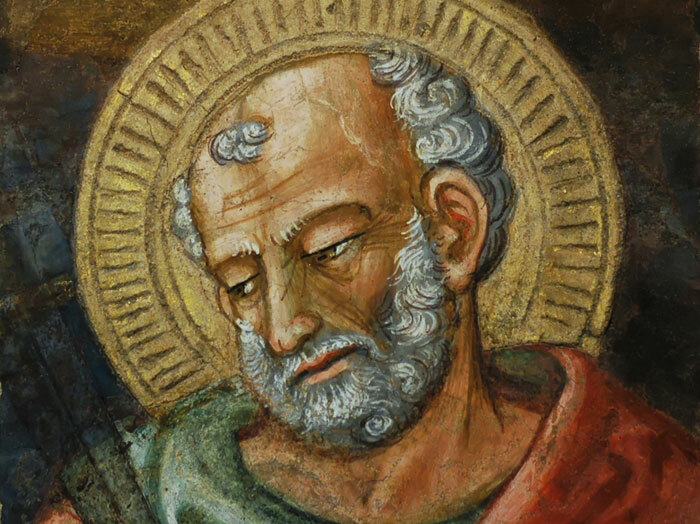 For the Opera del Duomo, he painted frescoes of the apostles. And he painted a Saints Cosmas and Damian and frescoes representing the dedication of the church itself for Sant'Egidio in the hospital of Santa Maria Nuova. His best paintings are now thought to be the Madonna in Trono now in the National Gallery at Parma, the Three stories of St Nicholas triptych in the cathedral of Fiesole, and a Nativity in the church of San Giovannino dei Cavalieri in Florence. There are frescoes of his in the entrance to the Compagni chapel in the church of Santa Trinita, and in the area around Florence, there are frescoes in Empoli and at Lastra a Signa. Bicci di Lorenzo was an Italian painter and architect. Son of the painter Lorenzo di Bicci, a traditional late follower of the artistic line of Orcagna, Bicci was similarly educated in art in his father's workshop, in which he began to share in the production of artistic products between the end of the 14th and the beginning of the 15th century (Tabernacolo del Madonnone, previously in Via Aretina, Florence; frescoes and sinopias now taken down and in the depositories of the Galleries in Florence). Having inherited the rich and flourishing workshop from his father in 1405, he continued the workshop. His widespread activity lasted for all the first half of the 15th century. This is witnessed by works for the Medicis (cycle of Illustrious Men frescoes in Palazzo Vecchio of Via Larga, documented by Vasari), for Niccolo da Uzzano (frescoes and panel in Santa Lucia de'Magnoli, documented but lost; triptych for the Villa in Greve, today in the Greve parish church), for the works on the Cathedral in Florence (cycle of frescoes of the Apostles produced for the consecration of the Cathedral in 1434), for the Hospital of Santa Maria Nuova (fresco representing the Consecration of St. Egidio, originally on the facade of the church, now in the administrative offices of the Hospital), the chapel of San Giovanni Gualberto for the Compagni family in Santa Trinità (the frescoes still remain in the entrance arch, in the same church and the Triptych, at one time on the altar, now in Westminster Abbey, in London). Though not attracted to the artistic ideals and innovations of the Renaissance, he developed the productive capacities of the workshop by inaugurating a remarkable series of partnerships and collaborations with other painters. Bicci di Lorenzo died in 1452, but already for some years the running of the workshop had passed to his son Bicci di Neri, who continued its fortunes for the whole of the second half of the century, by traditional methods. This article incorporates material from the Wikipedia article Bicci di Lorenzo published under the GNU Free Documentation License. Wikimedia Commons has media related to Bicci di Lorenzo.